Jan and I had just finished our weekly torture session (i.e. the gym – kidding!) when we got a text from Bee and Rybread who had nothing else to do on a Friday night so we all pulled up our phones for a place that was cozy and open later so that we could all hang out. 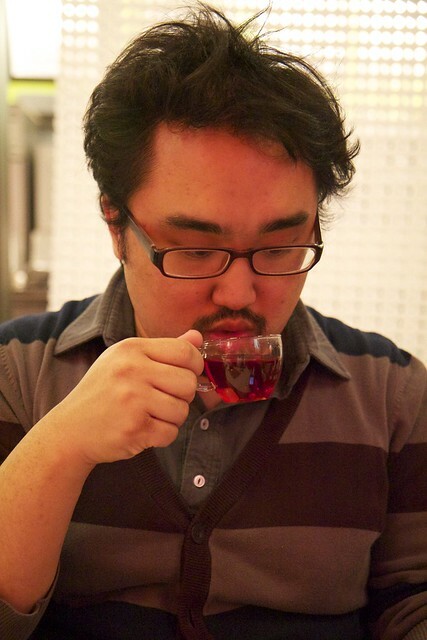 Enter Tea Story. This was my first time there and I thought it was nicely decorated. It reminded me of similar venue just down the street with a similar dessert type theme to the restaurant. 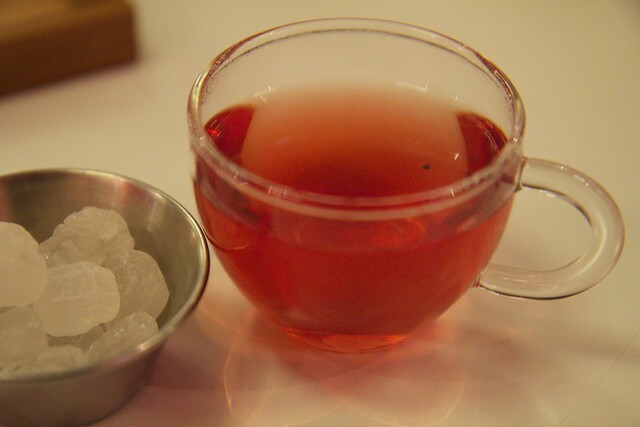 It was really fun being able to choose the type of tea you wanted and have it brought to our table! We loved that it came with a tiny candle and holder so that your tea stayed warm! Nice touch! Jan and I ended up sharing a Citrus Sunburst, and Bee and Rybread ended up having a Harvest black tea that really didn’t taste like black tea! 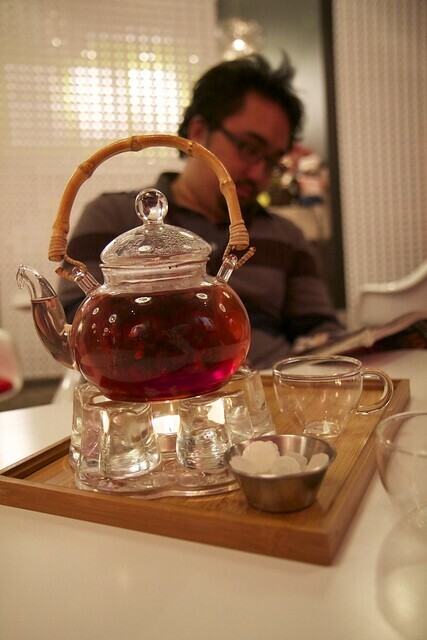 I enjoyed the teas and it was a great place to sit and relax with friends. This entry was posted on February 22, 2012 by debbe. It was filed under 365, Food, Friends, Winnipeg and was tagged with 365, citrus sunburst, Friends, spontaneous, tea, teastory, Winnipeg.